My husband and I are expecting our first in February, and do not have much in the way of names. We will not be finding out boy/girl until baby is born. Ideally, we’ll have three first/middle combinations ready to choose from when the baby arrives. For girls, we both like Elliot Eirlys. Eirlys means snowdrop, and that’s the flower of my birth month and also was the shape of the brooch that my husband wore on the day of our wedding. I also like Ireley with Elliot, as that’s how I’ve pronounced Eirlys in my head, even though it’s not “correct”. The other pairing that is a contender is Edwin Lucinda. Edwin was the name of my grandma’s father. Edwin makes me think of “medieval princess” names like Genevieve, Gwendolyn, etc. but feels more wearable. My husband doesn’t love Edwin, but he likes Edwin Lucinda and the idea of calling our potential little girl Winnie. Lastly for girls, I really like the middle name Colette, from the family name Nicole and my middle name, Annette. We’ve talked about boy names, but nothing feels quite right. We both like Sullivan, but I have a hard time imagining actually using it. We also both like Floyd, and I like Theo. 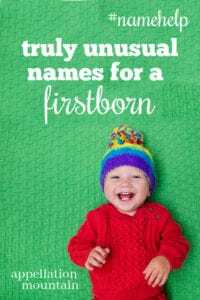 Our biggest fear is baby having a common name and having to go by first name + first initial of last name. We don’t want Biblical names. This feels like such a huge responsibility, and I think we’re both feeling the pressure. Any help or thoughtful suggestions would be much appreciated. Congratulations on your first! It’s tough to narrow down a list of seemingly endless possibilities to just a single first-middle combination, isn’t it? 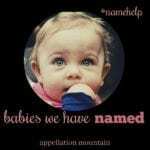 Let’s start with what you want: an unusual name that isn’t Biblical in origin and, preferably, has some personal meaning, too. Here’s the million-dollar question: precisely how unusual? Because Elliot is a little bit different. It’s in the Top 200 for boys, spelled with one ‘t’ and two. For girls, it’s between the 500s and 600s, depending on spelling. That’s different, but far from unknown. Everyone will hear it and (probably) understand it immediately. You’ll meet other Elliot(t)s, both boys and girls. There may even be one in your child’s class. But it’s not likely to be a name she shares with lots of kids her age. Edwin, on the other-hand, is jaw-droppingly, wait-what level different. It’s falling out of favor for boys, and it’s virtually unused for girls. A boy named Edwin would stand out. A girl named Edwin? I think that’s so different as to be potentially burdensome. On some level, that’s a crazy response, of course. Girls are named Eden and Rowan all the time. Winnie is a perfectly reasonable nickname for a daughter, a sassy, vintage name that sounds downright sweet. But our perceptions of names are based largely on past usage and sound. It’s easy to hear Elliot as a girl’s name because of Ella and Ellie and Juliet, too. Plus, we’re hearing – at least occasionally – for girls. Edwin seems like a stretch, a name we instantly recognize as masculine, and have a hard time recasting as feminine. So my vote goes to Elliot Eirlys, Elliot Lucinda, or maybe Elliot Andria. Elowen – It’s a Cornish tree name that would shorten to Ellie or Winnie – even if the spelling isn’t exactly right. Very rare in the US, Elowen reminds me of Edwin, but it’s less clearly gendered. Lucienne – Or even Lucien or Lucian. Lucienne is the French feminine form, but I wouldn’t be shocked to meet a female Lucien. It’s tailored and unexpected, a name that fails to make the current US Top 1000. (Lucian is quite rare, too.) We so many girls with Lucy names that they all feel accessible. Winter – If you love Winnie for a girl, and have a tie to the season, then maybe Winter-called-Winnie is just different enough? I think Winter Colette works nicely. Now, on to the boys. Theo strikes me as the kind of name that might frustrate you. Theodore ranks in the current US Top 100, and is gaining steadily. The overwhelming majority of those boys probably answer to Theo, at least some of the time. Instead, I wonder if you’d consider Edwin for a son? It’s a non-Biblical name that you both like, and one that others will recognize without it being at all common. Edwin Eirlys works well for a son. Bram – Big in the Netherlands, Bram is a Dutch nickname for Abraham. Flynn – If Sullivan isn’t quite right, how about Flynn? It’s another Irish surname with an upbeat feel, but it’s even less familiar than Sullivan. Thayer – I wonder if another Th- name might appeal, instead of Theo? There’s Thatcher and Thaddeus and Thorpe, but I think Thayer hits exactly the right note. Still, my top suggestion is Edwin Cole, borrowing the second syllable from your sister Nicole’s name for your son’s middle. Readers, I can’t wait to hear your suggestions for this one: what unusual names come to mind for Devin’s firstborn? Hello! OP here. Baby was born on President’s Day this year (which feels really fitting for a baby with a mom AND dad in the military)! I think everyone will be glad to hear we had a boy since so many seemed to not be as much of a fan of giving a traditionally boy name to a girl as I am I liked the idea since I grew up as a girl Devin when all Devins were thought of as boys. But I digress. Our baby boy Yewan Tarn was born 18 February 2019 at 6:37pm, weighing in at a whopping 8lbs 14oz, and 21” long. We are absolutely in love. Winter Colette is very beautiful, but if a child is called the lovely and unusual name Winter, especially if born at that time, it’s kind of sad to shorten it to Winnie or Win. Bram makes me think of Dracula, of course. I love Tristan for a boy. What about Adwen? Behind the Name says she was a Cornish saint. Eavan, like the Irish writer Eavan Boland, also comes to mind. Or Aideen? I also really like Edel on a girl, but I don’t think that one’s everyone’s taste. I’m afraid I agree that Edwin for a girl might cause a few problems – for me, it brings to mind Edwin Hubble, Edwin Droog and various Anglo-Saxon men. Why not Eirlys as the first name? Eirlys Lucinda would be a beautiful name for a girl. Emrys (also a boy’s name but feels a little more transferable than Edwin, which I’m afraid I just can’t see on a girl). I’m loving Eirlys too, especially with the connection to your wedding! For a girl, I’d pair it with Colette for the family connection. I think Edwin for a boy would be awesome with the nickname Win! Edwin Cole seems like another great combination, if it’s ok to let go of Colette for any future girls you might have. Picking a name for your first child is a big responsibility and very stressful. I would strongly suggest not naming a girl Edwin or Lucien. These could be burdensome for the child and I suspect would, quite frankly, elicit a pretty negative response from others. Edwina and Lucienne are feminine variants that would wear well, though. I echo that both Edwin and Lucien would be great boy names. They are very handsome! Oh, and I meant to say that Floyd brings to mind the names Lyle and Fritz. I think Colette Lucinda would hit all the right criteria for you and honor multiple special people at the same time. I agree about Edwin on a girl although I do love the nn Winnie. Perhaps just name her Winnie or Wynn, nn Winnie? Or even Edwina. I know a few female Elliots so it doesn’t seem to have the same appeal for me. For a boy, I love Sullivan, nn Sully or Van, paired with a family middle. Maybe even your maiden name? For girls, what about Frances, Edie, Apolline, Ismene, Leonie or have you considered Edwina? Just had a thought. How is she planning to pronounce it? Is mom planning to pronounce it Ed-win or Eed-win? Because the latter definitely reads as more feminine/medieval to me. At that point its just a matter of spelling to clarify. princess and I actually kinda love it. Edwin Eirlys sounds like the coolest boy in preschool. That’s a really good point – thank you! Eadwyn is very much a medieval princess name, and I agree – love Eadwyn Eirlys for a daughter. Oh, I love Eadwyn Eirylis, too! I think Edwina would be lovely for a girl and lends itself to some sweet nicknames. Winnie and Edie being the most obvious. Also really like Edwin for a boy. Definitely useable yet uncommon. However Edwin on a girl is a little too ‘A boy named Sue’ for my taste. If Edwina just isn’t it though I love the suggestion of Elowyn. Also wonder if Imogen would work? Suggestions for a boy: Magnus, Bruno, Jasper. For a girl, I 100% support Elowen (Welsh, similar to Edwin and distinctively feminine). Or Winifred! Totally medieval princess to me! I can, after a minute, wrap my head around Edwin as a girl’s name. I would maybe suggest spelling it Edwyn or Edwynne. Just Wynn/Wynne is another option that’s very uncommon and is slightly more unisex than Edwin. There are a lot of other Welsh names that fall into the -wyn-ish camp (Bronwen, Tamsin, Bevin, etc. ), so you may want to go explore more Welsh names. I agree with others that Edwin is not really wearable on a girl, that it would cause confusion. What about going straight to Win? My Grandmother’s name was Winifred and I’ve considered using Win as a unisex middle for either a girl or a boy. Beyond Elowen (great suggestion! ), there are a number of other Welsh names that incorporate -wyn (for a boy) or -wen (for a girl). Rosenwen is one of my favorites! For a boy, I like both Sullivan and Floyd. What about Anders (pronounced AHN-ders not ANN-ders), Roan, Morgan, Clyde, or Griffith? Cole would be great as a first or middle! Edwin Lucinda made me stumble a bit. It is a lovely sound together but I really couldn’t figure out if it was for a boy or girl, and either way felt like a statement. I love Edwina, nn Winnie. I think Edwina Eirlys is maybe the unique name you are looking for? Elliott is a lovely and perfect name, but if what you are looking for is a statement name, something that will stand out, then I’m not sure that’s it. There’s also the bold move of putting Eirlys in the first name slot. Eirlys Lucinda is nice. The names you have for boys feel less developed. I think Edwina and Floyd feel like siblings, although Floyd and Elliot do not. I do like the suggestion of Bram quite a bit. For boys, maybe: Bernard, Vernon, Clyde, Glenn or Otis. I would suggest googling a top 100-1000 names in 1920, because Edwin, Floyd and Theodore are all in the top 100. Anyway, good luck! This was a fun one to think about. If you like the nickname Winnie, I think Guinevere could be a good option and fits the medieval princess idea. It’s uncommon but familiar, feminine and wearable in my opinion. I’m also confused why Edwin is not being considered for a son? The suggestion of Edwin Cole is perfect. And why not Edwina for a girl? That’s much more “medieval princess” but not excessively so, and the name is not THAT unusual – I used to work with an Edwina (in their 20s, Irish). I’m going to agree that Edwin is very much a boy name. So much so, that if I met a little girl Edwin I would assume her parents were deliberately trying to make a statement about gender roles or feminism or something like that. Which, if that’s what you are doing, more power to you – but be prepared for some unpleasant reactions. If you want a similar sound in a feminine name, what about Egwene? I do think Edwin might be a perfect name for your little boy. Extremely not a fan of Edwin on a girl. 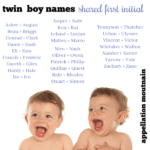 There are so many feminine and unisex names that lead to Winnie, and even an existing feminine form of Edwin (Edwina). I do not think most (any?) listeners will get the “medieval princess” feel from Edwin that the writer feels, and there are many lovely names that *do* have that connotation and even lead to Winnie- including Gwendolyn as she mentioned, and those seem far more wearable to me. There’s also the fictional-but-now-famous Eowyn (a shieldmaiden of Rohan from Lord of the Rings). I think Edwin would be workable although unusual on a boy, and I wonder what has kept the writer from considering it for a son. When I first read “Edwin” on a girl, my reaction was actually “that’s so sweet”. I really like it. It reminds me of Edith, which I also adore. Seems like we tend to reserve “Ed” for boy names, but I’m in favour of give and take on all sides of the gender spectrums. I love the suggestion of Elowen. Sullivan is a favourite of mine currently, nn Sully. Ironically, I’ve been working with kids for over thirteen years and I’ve never met an Elliot of any gender. BUT! I have a handful of friends who think it would be lovely on a hypothetical daughter (for context, I’m in my early thirties, and live in the Canadian PNW). This is so funny to me since I’m PNW just south of the Canadian border and know about twelve Eliot/Elliott/Elliot/Elliott’s of both genders ranging from newborn to 16 years old. And I do not work with kids. Hilarious! I did have to think twice about it because it SEEMS like a popular name, even though I’ve never met any. You know a lot of Elliots! One thing to consider is popular names are not as popular as parents sometimes think. 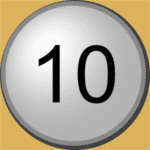 I’m a teacher and off the top of my head, I can’t think of a year when I used a last initial with a kid in my 10 years teaching. Yes duplicates happen but sometimes it’s actually with more unusual names like two Kalani’s. My son has a very popular name and he is the only one at his day care with it. On the other hand, I’d never met a Lennox before until three years ago and now I’ve met/heard of five…one’s even at day care. 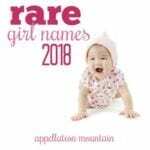 That means that even more unusual names can be duplicated.